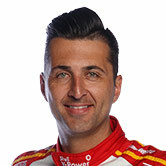 New Zealander Fabian Coulthard has upstaged defending V8 Supercar champion Jamie Whincup to steal the opening race of the Tasmania Microsoft 365 at Symmons Plains. While one of Coulthard's restarts was flagged during the race, he has been cleared and there will be no penalty. 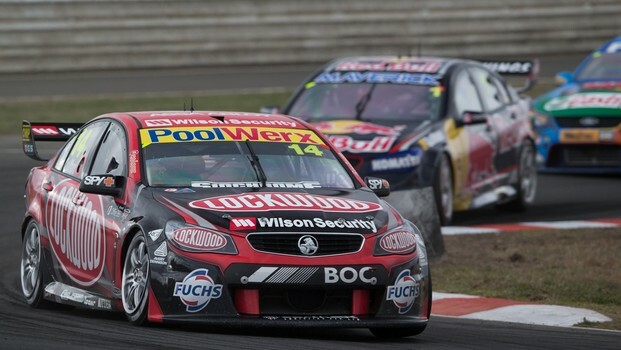 Coulthard produced a bold passing move on Whincup two laps into the second 25-lap sprint to claim the lead and go on to clinch his first official race win. The Holden racer then managed to increase his lead in keeping the four-times champion at bay. Red Bull Racing had sharply contrasting fortunes with Whincup at least managing to claim second spot ahead of the Ford of Mark Winterbottom. Whincup started from pole position in the first stint and capitalised at the start keeping Coulthard's Holden and Winterbottom behind him. While Jason Bright and Garth Tander engaged in some rough-house tactics in the fight for fifth, Whincup extended his lead over the field by two seconds. Coulthard and Winterbottom maintained their positions for the second period which began after a 15-minute break. But it was shortly after the rolling start to the second run when Coulthard pounced. His performance was an extension of his form at last month's non-championship grand prix meeting when he won three of the four races. The series leader going into the round, Red Bull star Craig Lowndes was upset after he had a disastrous start to the first of the two 25-lap runs. Lowndes was muscled off the track by Shane Van Gisbergen before spinning, which dropped Lowndes back to last as he limped back to the pits for repairs left with a broken gearbox and a flat tyre. Lowndes, who led the series on points after the first round in Adelaide, said he was "a little bit angry" after being subjected to such close attention. Lowndes was forced to take to the re-start for the second sprint one lap down, his lead in the championship severely shaken. Todd Kelly was put out of action even before the start of the second run when his Nissan stopped with no power just metres out on the track from pit lane.